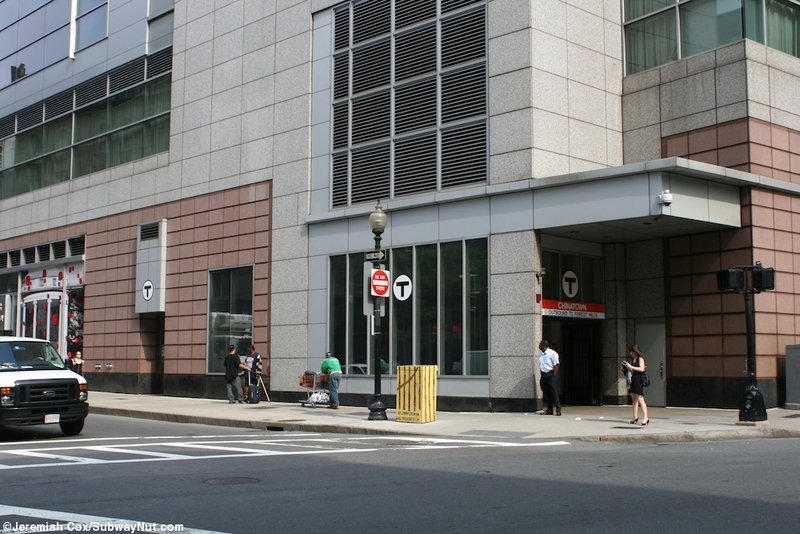 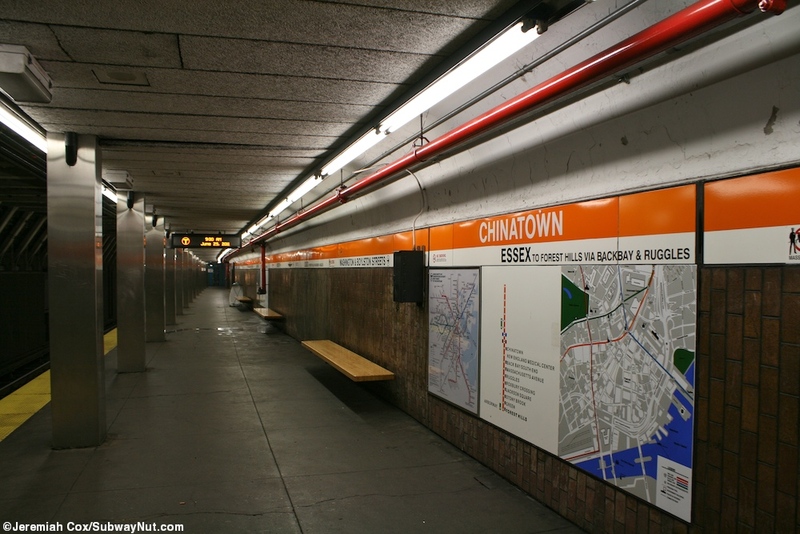 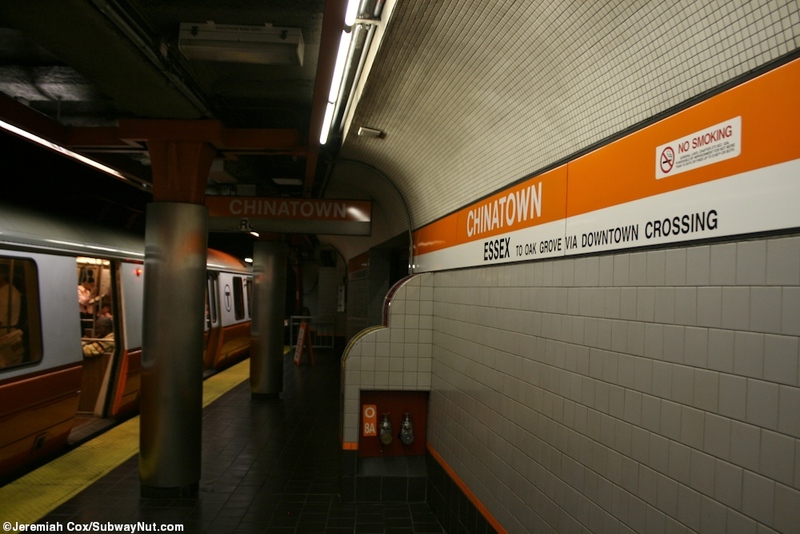 Chinatown is the most farthest south original 1908 subway station and has gone through different names. 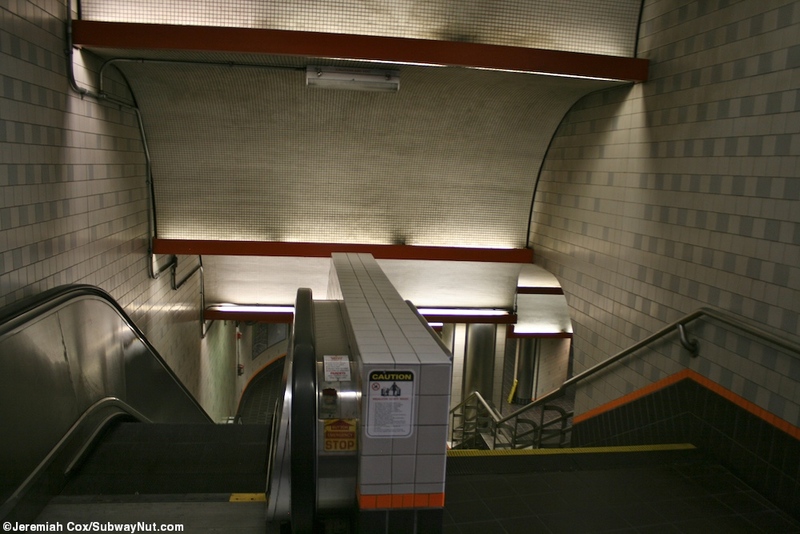 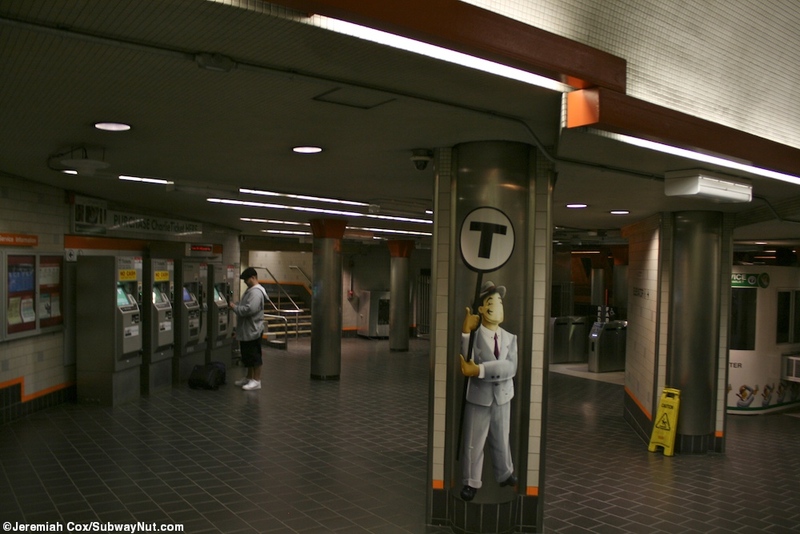 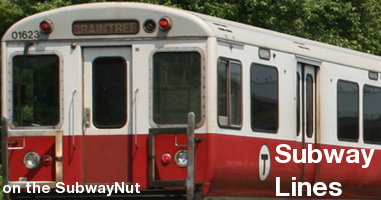 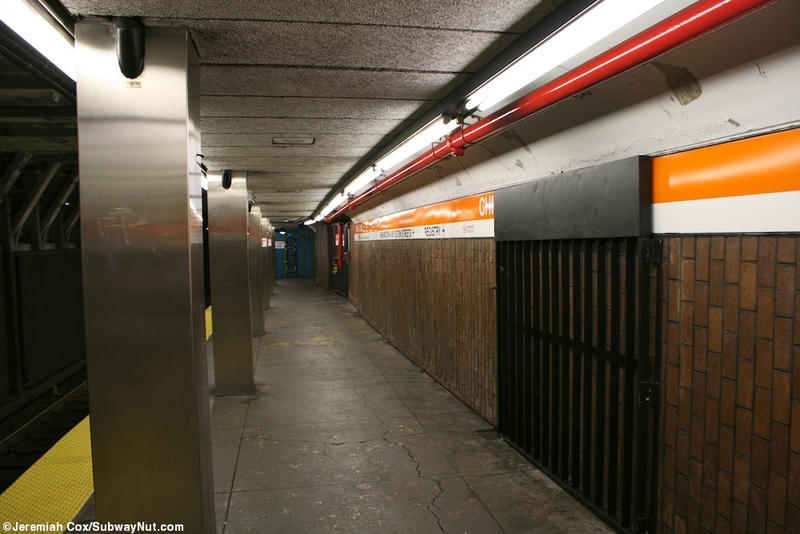 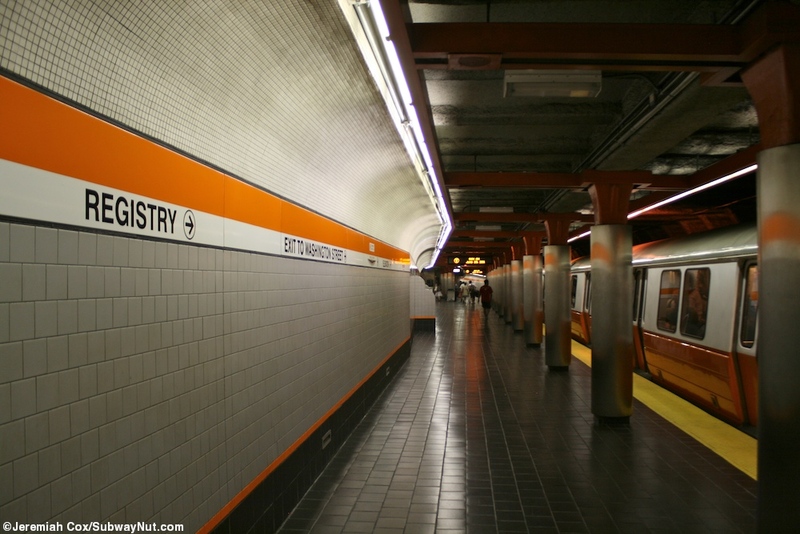 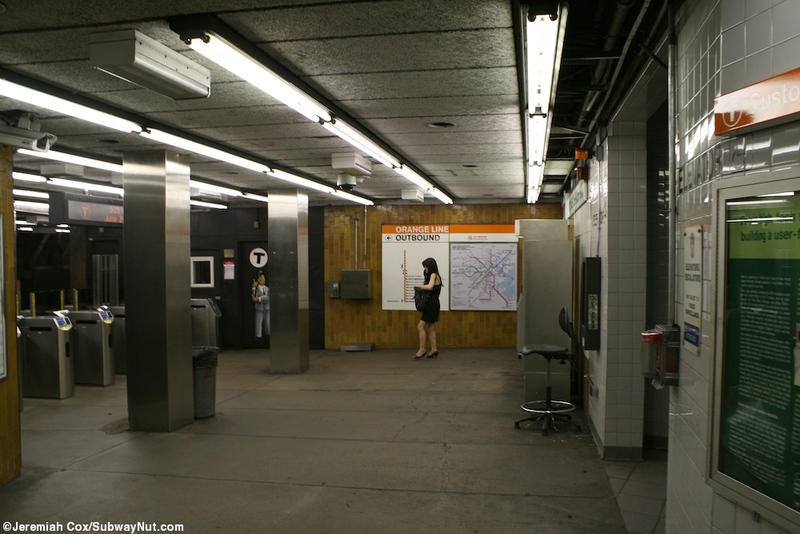 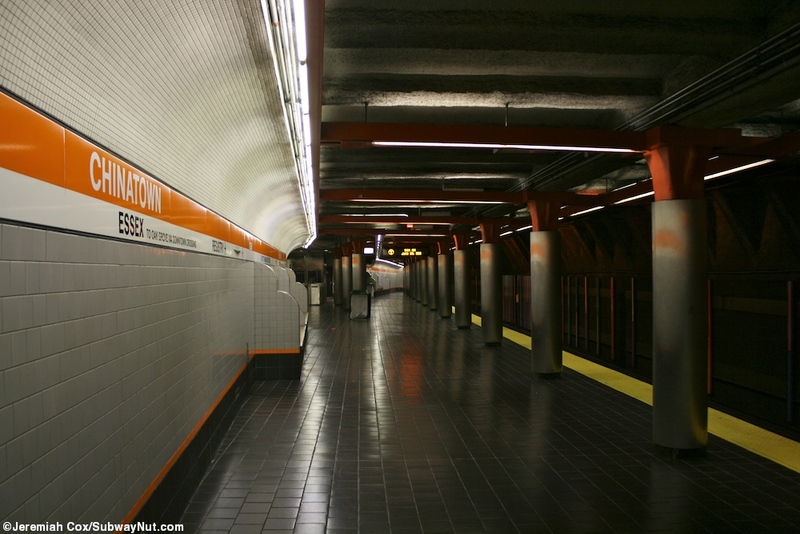 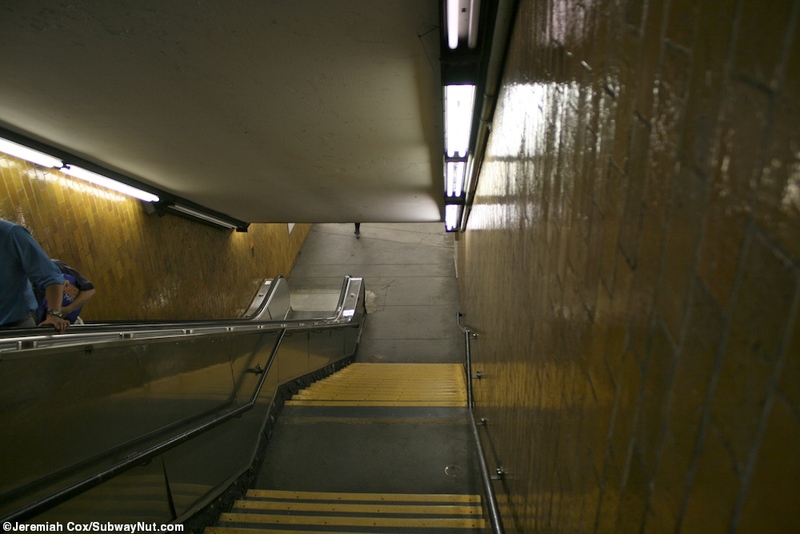 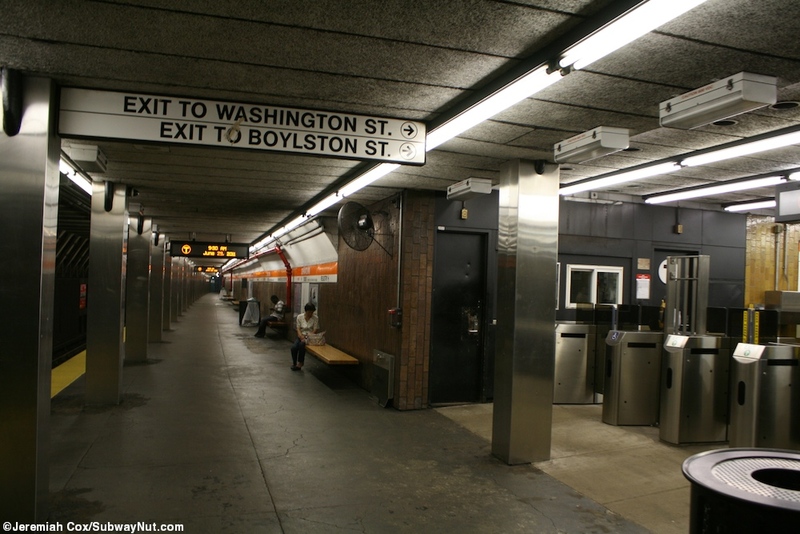 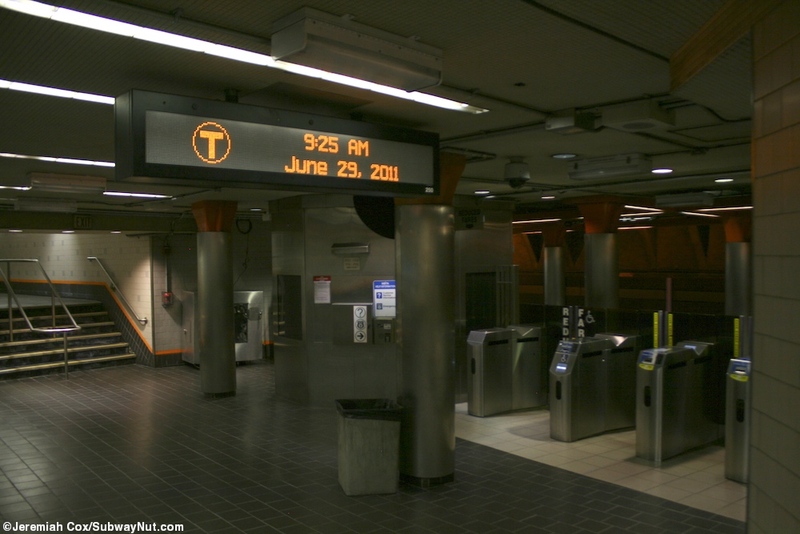 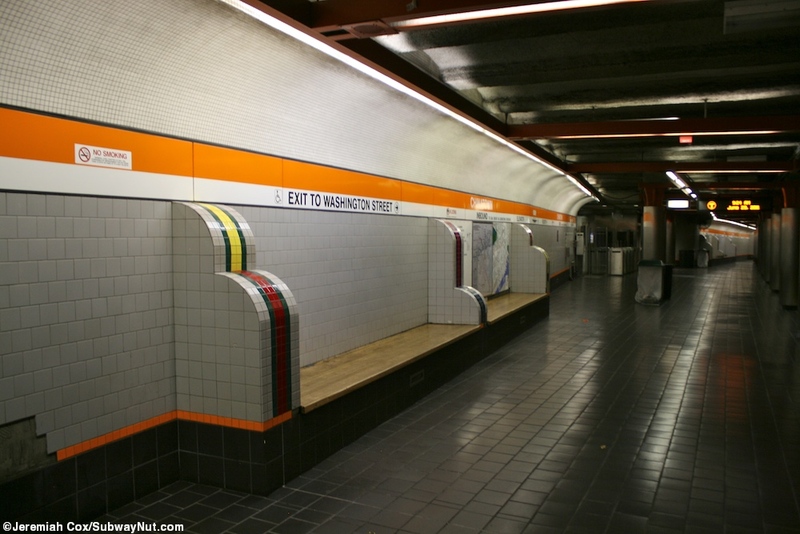 It has the offset platforms (Oak Grove-bound goes north and Forest Hills-bound south) that are standard of the Washington Street Subway, no free crossover or under but renovations have removed all original wall tiling. 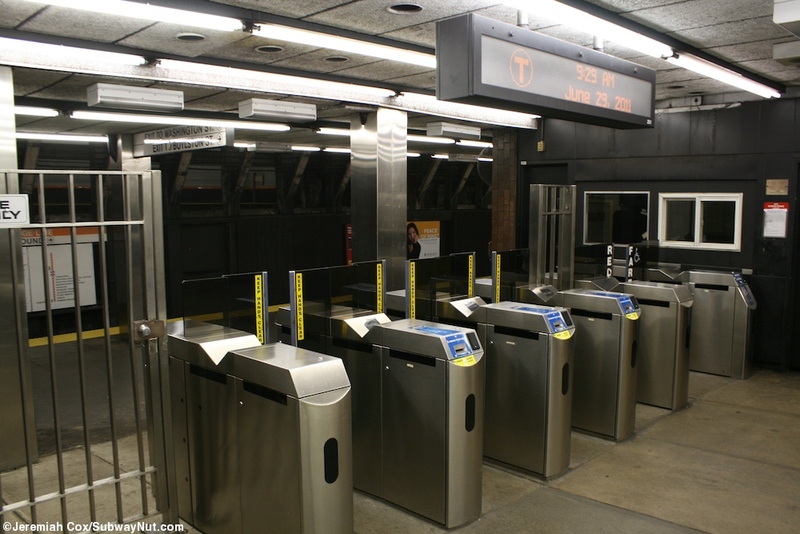 Each platform has a single exit with the faregates directly on the side of the platforms. 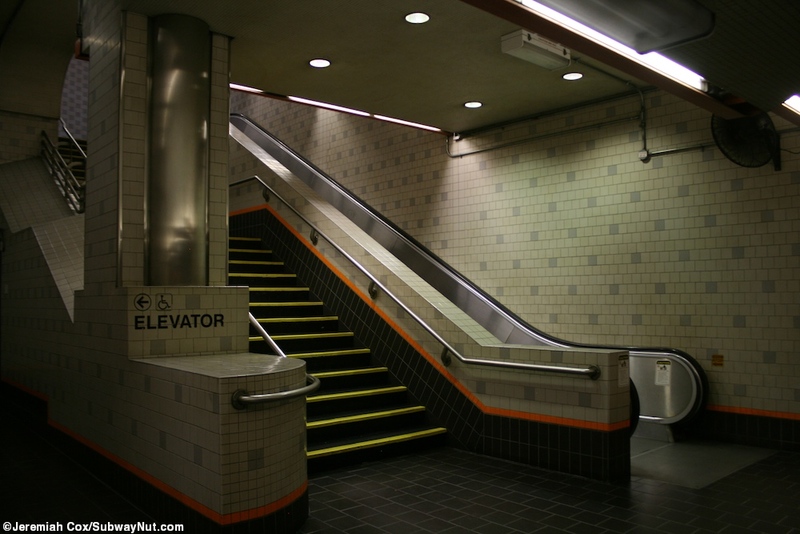 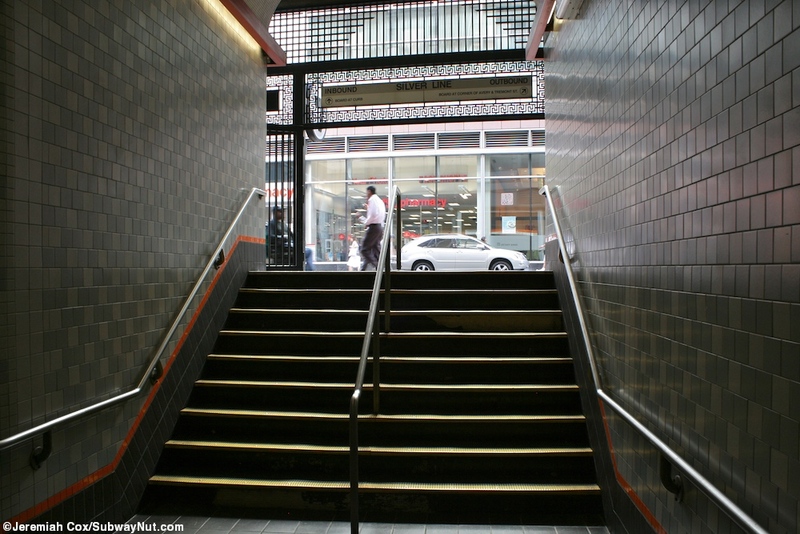 The Forest Hills-bound platform has a staircase/up escalator and elevator on the NW corner of Washington Street and Essex Street/Boyslton Street (the street name changes at the intersection), the Oak Grove-bound has a staircase/up escalator near the NE corner and an additional staircase near the SE corner. 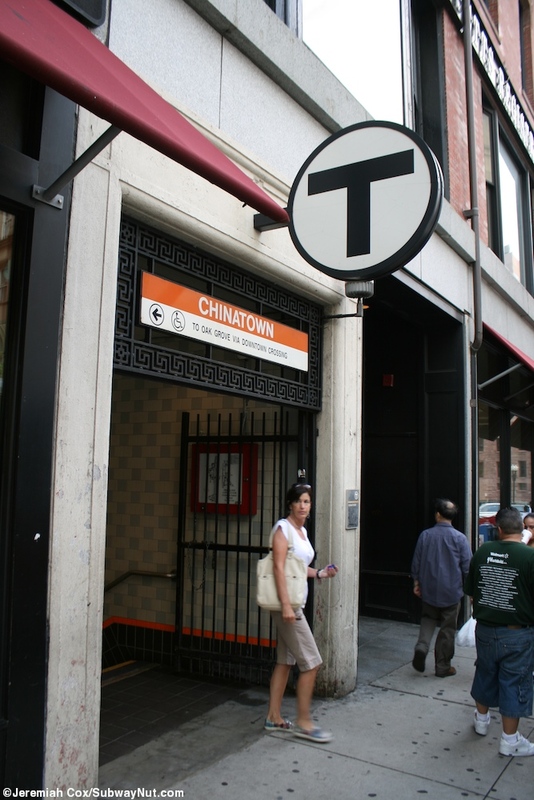 All of these are located inside storefronts in surrounding buildings. 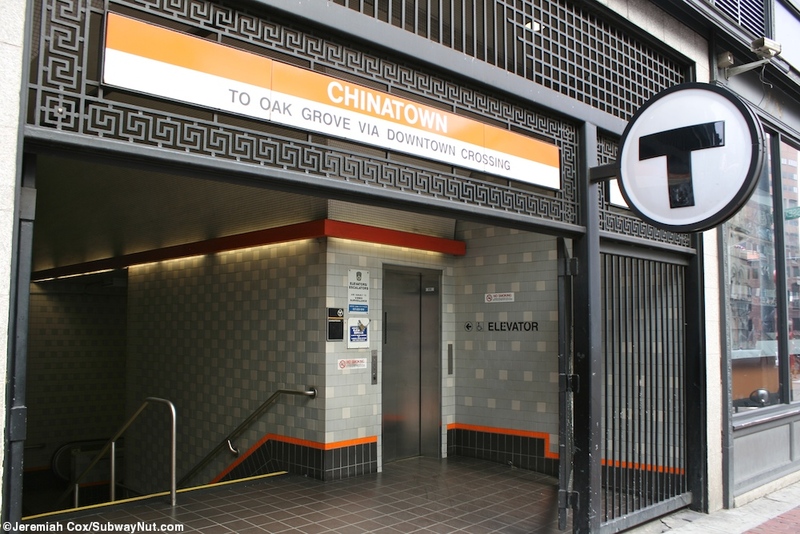 Each platforms tiling is a different color the Oak Grove-bound platform has grey tiles, the Forest Hills-bound platform more brown, along with its walls.